Ceradrop - The Independent Global Source for the Flexible and Printed Electronics Industry. 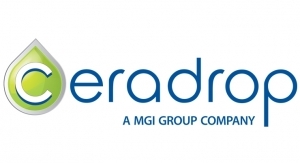 CERADROP, a MGI Group Company designs and markets All-in-one State-of-the-art Materials Deposition Digital Printers exclusively for Printed Electronics Industry and Smart 3D Printing. Enabling their users to succeed in Advanced Digital Process Development in multidisciplinary fields starting from cutting edge R&D Modular-Based Technology up to high throughput 24/7 manufacturing equipment.